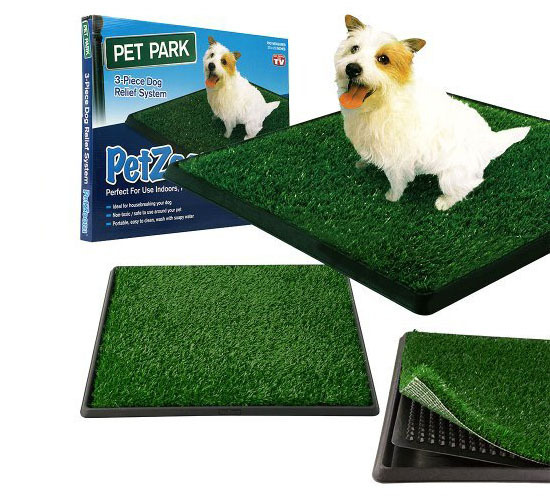 PetZoom Pet Park is basically a non-toxic mat consists of three stage layers that allow fluids to pass through anti-microbial mat. 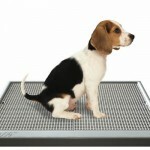 The top mat is located high above the liquid in the collection tray, thank you to Pet Park’s elevated grid system. Don’t forget to empty the tray at the end of the day, but this also depends on how many dogs are using Pet Park in your house. Since this product uses synthetic grass, it’s weather-proof. You can place it outside on the balcony or patio, usually after a few trainings, your dog knows where to go when he needs to do his business. The product says it’s an ideal training tool for your puppy, but we think this product will also work great for older dog that is no longer able to go outside. 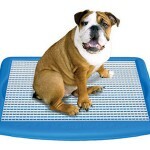 We recommend that you never leave your dog unattended with Pet Park, since the dog might scratch and try to pull it up. Make sure you also train him not to play or scratch it. Cleaning is easy, just use warm soapy water to make the reusable surface stays fresh and sanitary. If the grass still smells, you can try to use odor spray for ever after cleaning, which usually help a lot. 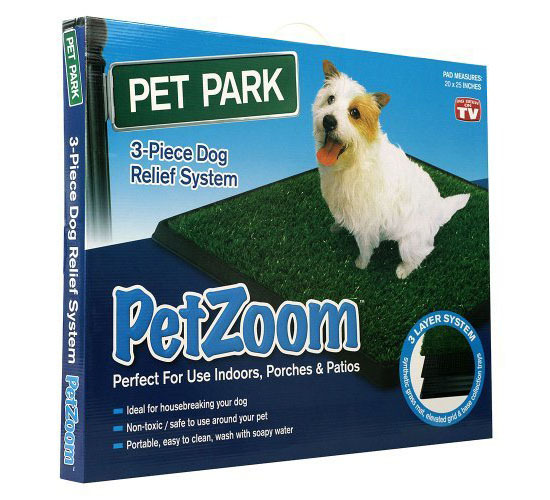 Even though the price of PetZoom Pet Park indoor dog potty is inexpensive, the product you get is not cheap made product. This is such a cute idea for training a dog to go to the bathroom. I think it could probably be used for a cat as well. Anyway, what's smart is it looks like grass, so the dogs already have the association of using the bathroom on it. 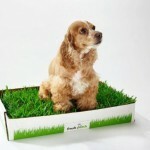 Some homeowners may consider getting their dog a fake grass lawn after buying this product.